Check out our Featured MLB Free Picks for similar articles. The Reds Homer Bailey has poor numbers on the season in his limited action but, in July, he has pitched very well in 3 of his 4 starts. In fact, in those 3 outings he allowed a total of only 4 earned runs in 18 and 2/3 innings of work. Velocity on his fastball is up and the under was a perfect 3-0 in those 3 quality starts for Bailey. The Reds come into this game having stayed under the total in 5 straight games while the Yankees are on a 9-2 run to the under in their last 11 games. Luis Severino gets the start for the Yanks and he is a hard thrower whom the Reds have never faced. 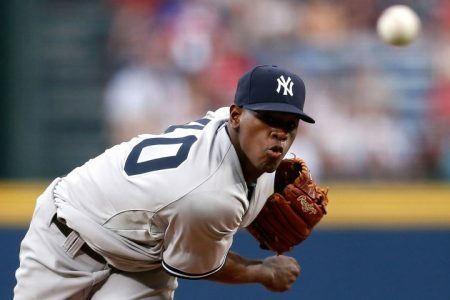 By the way, Bailey hasn’t made a start against the Yankees since 2012 so that truly won’t help the current Yanks lineup at all and the Reds lineup will be getting their first look at Severino. The Yankees right-hander has seen 4 of his last 5 starts result in an under. Severino has given up a total of only 5 earned runs in 28 innings in those 4 starts. In other words, there is plenty of reason to expect the under trend to continue in this match-up early Wednesday afternoon. Look for the under to improve to 17-4 in Reds July games! Free Pick on UNDER the total in the New York Yankees game early Wednesday afternoon.